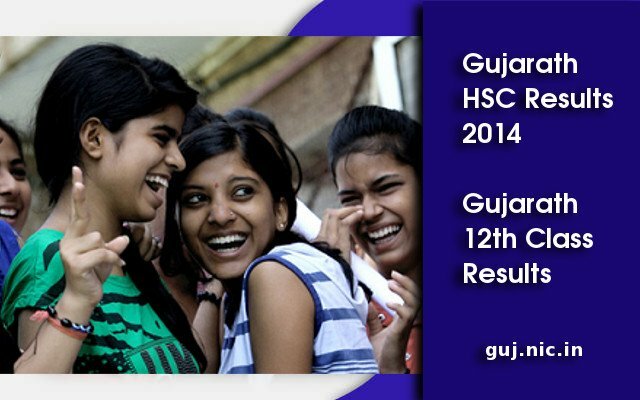 Gujarat Board HSC Results 2014 (Science Stream)will be announced on 23rd May 2014. Students who attended the Gujarat State Higher Secondary Education Board, GSHSEB Exam 2014 (Science Stream) can get their results on the official website of GSHSEB and Gujarat NIC Website. Gujarat Board Class 12 results for Arts stream and Commerce stream results will be announced after the Science stream results. The exact date of the results is not confirmed now. Science Stream results are available on 23rd May. In 2014 the mark sheets of students who appeared for HSC Exam 2014 are send to the schools in the same day of announcement of results. So the mark sheets are available in the corresponding schools and students can collect them on the result day itself. Around 15 Lakh students appeared in Gujarath HSC Exam 2014. Nearly 1.17 lakh registering for the science stream examination. HSC science exams were held in 110 centres. The HSC science stream examinations started on 20th march 2014 to 28th March 2014 from 3:00 pm to 6:15 pm. GSHSEB Conducting HSC Examinations and supplementary exams every year in March and July. The SSC examination is conducted in March every year for more than 9 lakh students. The HSC General Stream is conducted for more than 4.5 lakh students. 98 subjects are covered and question papers in English, Hindi, & Gujarati. HSC Science stream examination is conducted in semester I to IV level system. SEM - I and III exams in OCT-NOV and sem.II & IV exams in April every year. More than 1 lakh students appear in each semester. Result of HSC-Science semester students are given in equal weightage. Science students can choose A (Mathematics), B (Biology) or AB (Maths+Biology) group during semester system.